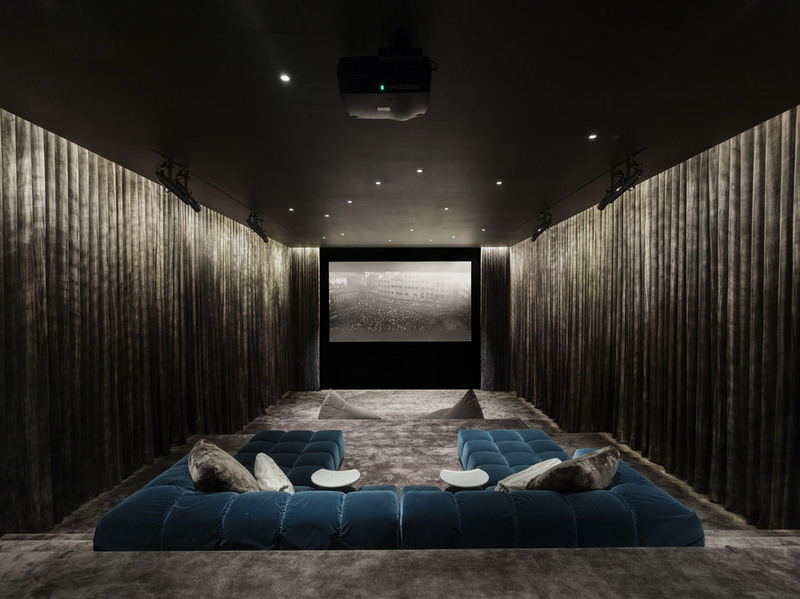 This private residence commands views of the Atlantic Ocean to the east and a fresh water pond to the west from it’s location on the shore of Long Island. Upon arrival from a quiet lane visitors are greeted by a planar facade of solid stone, punctured by the occasional opening. 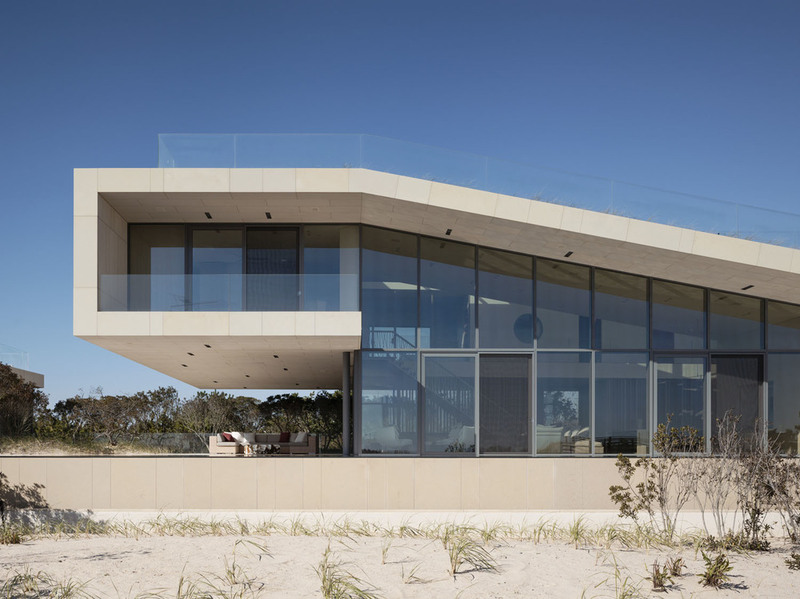 By contrast, on the south side of the property, the house unfolds sculpturally to present an open and transparent facade to the beach and the ocean beyond. 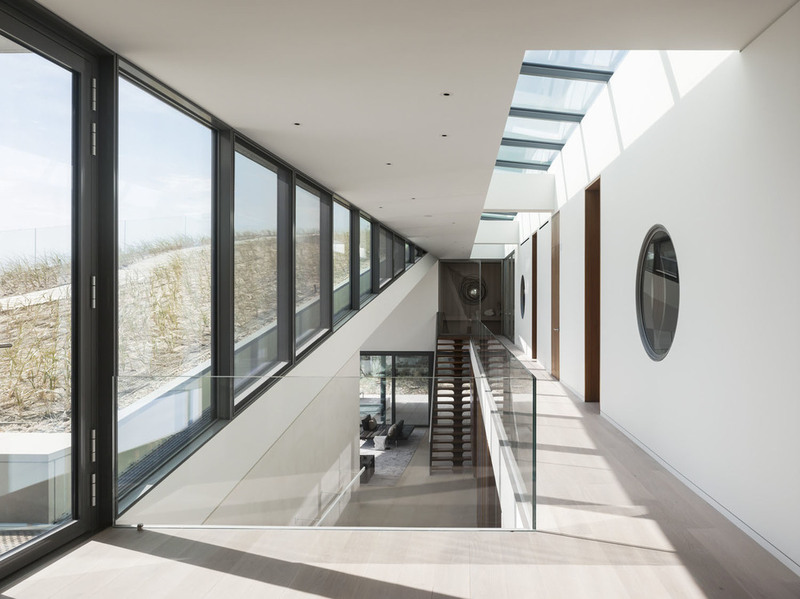 The design of the house is conceived as emerging from the beach. 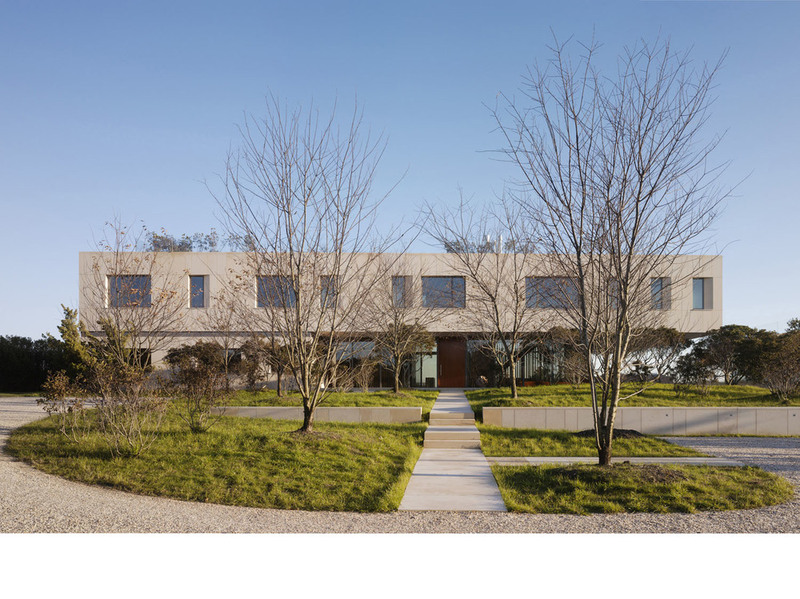 The dune landscape and native plantings along the ramped portion of the green roof emphasize the visual metaphor of the structure springing from the ground. 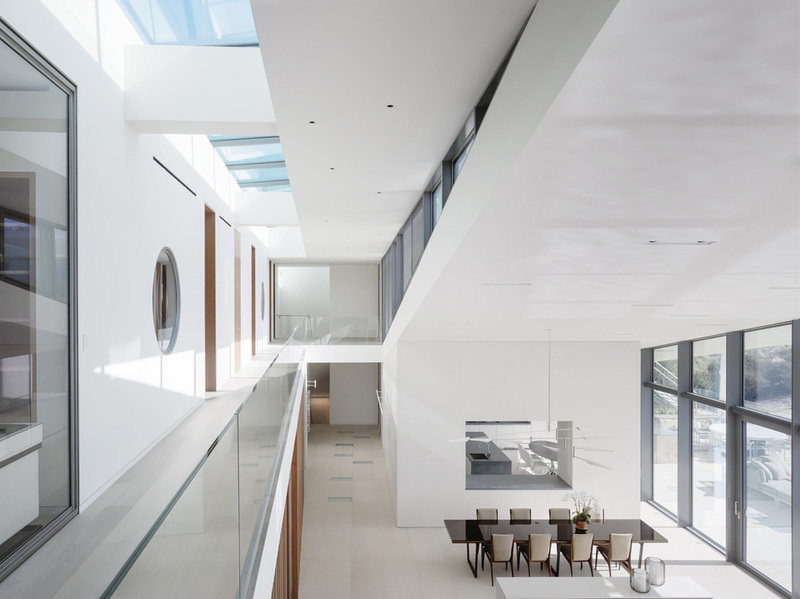 The living, kitchen and dining spaces are drawn together by the sloped roof, which creates continuity by connecting the ground and second floors, and opening up the first floor to a double height space. 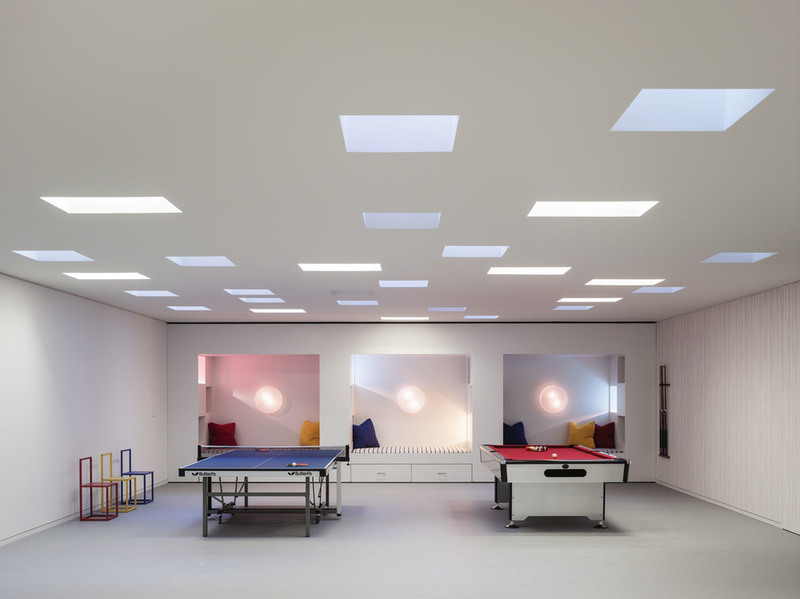 A combination of natural light from skylights, and artificial lighting, create a bright and comfortable environment for family spaces on the lower level. 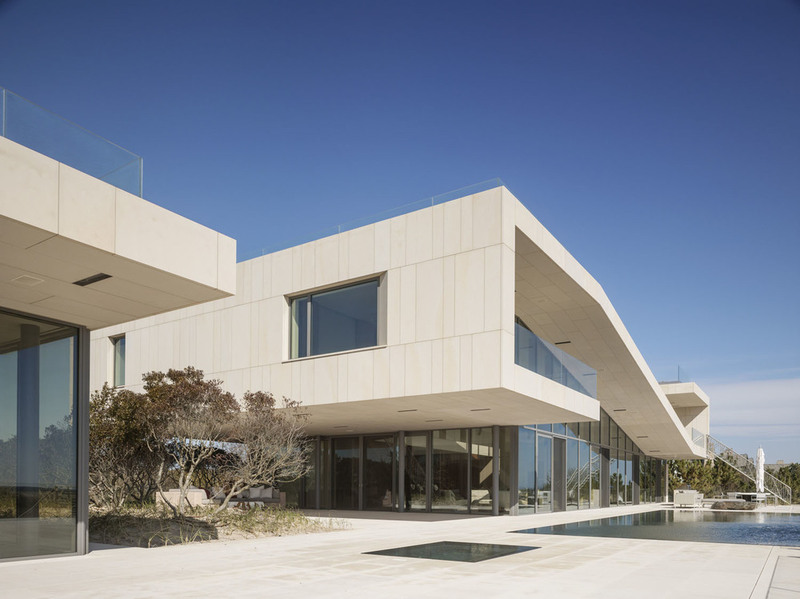 The exterior palette of materials is derived from the beach setting; limestone is used to echo the color of the sand.